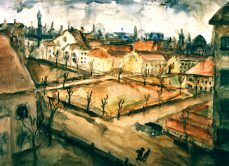 Schenk has spent almost a lifetime working on the topic of the STADT complex. 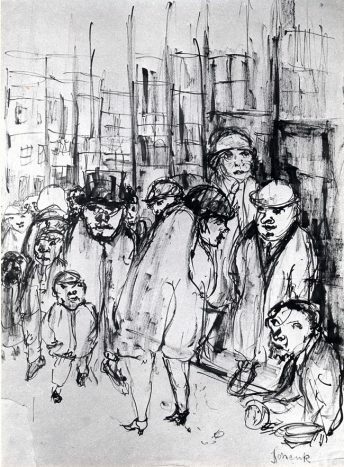 He used all the artistic techniques at his disposal: in the graphic area, the etching, the black ink, the charcoal drawings; in the painting area he used the watercolor or oil / canvas technique. 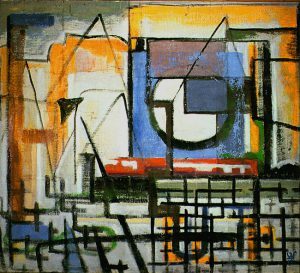 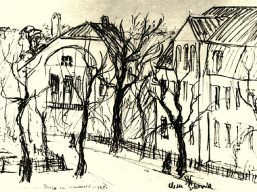 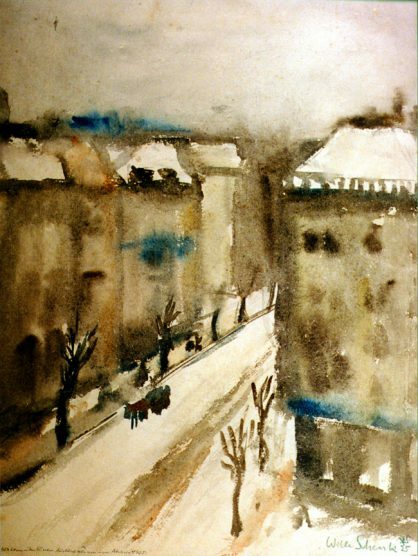 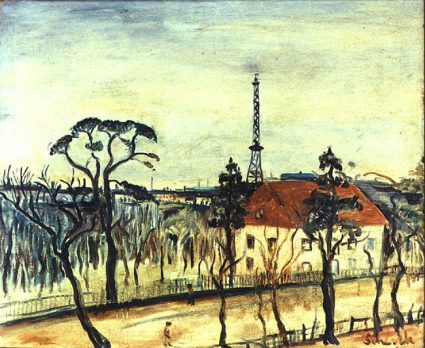 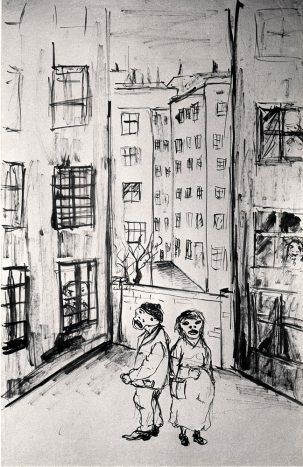 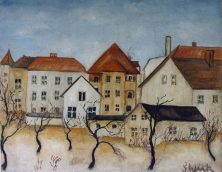 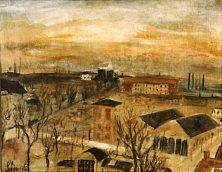 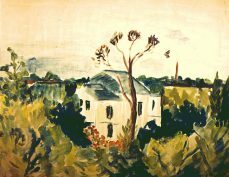 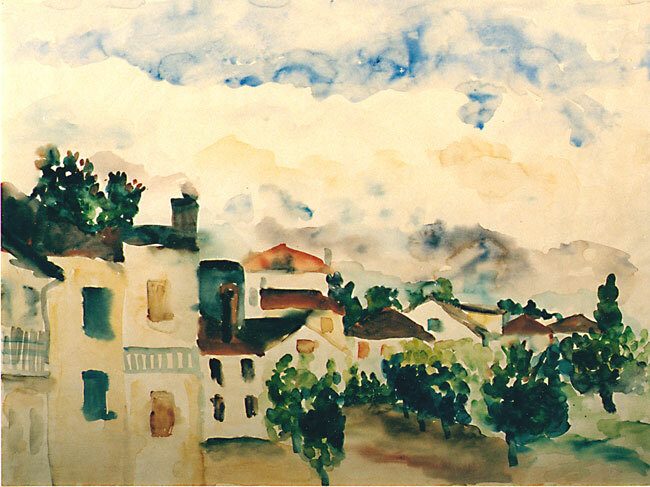 He was interested in all aspects of urban life, be it housing complexes of tenements or the social misery of people in the 1920s, be they houses in the green suburban areas or his views from his studios in Berlin or Lübben / Spreewald. 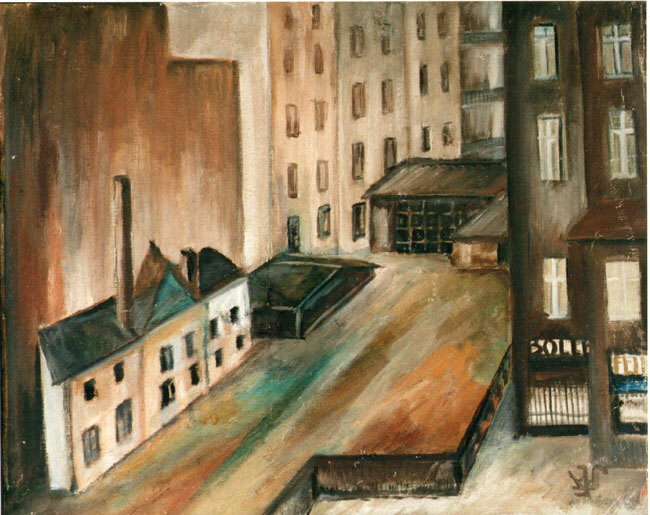 In total there are 8 oils / LW, 20 watercolors and 13 graphics for this work complex. 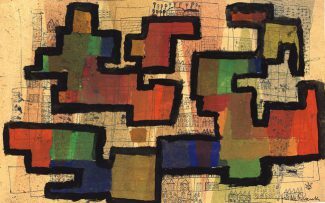 When Wille Schenk dealt with the non-figurative design towards the end of the 1940s, he discovered the versatility of city map designs. 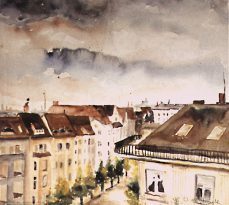 He mixed various techniques, such as wiping and scratching, overspray, watercolor overpainting, used geographic map symbols, and used a pencil or even a ballpoint pen. 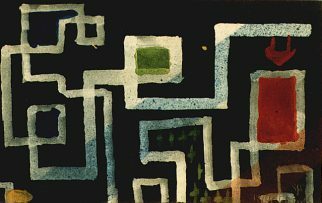 Initially it was small-format leaves, so this period culminated in the large-format city map WV 700.